When you have concerns about benefits packages, turn to experts like the Cypress Benefits Group. 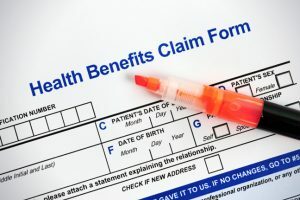 We understand that benefits brokers have a lot of responsibility; they work with every employee, setting up health insurance and benefit packages, as well as filing claims and dealing with important paperwork. They’re also in charge of advising business owners on which options suit their needs and what selections they should offer. Any company that wants to be successful should have a broker who is knowledgeable and efficient. There are several signs you can look for to see if your broker is truly understanding your claims. There are many things a broker should do for your business. An important facet of being a benefits broker is dealing with employees directly. When staff members have questions about their insurance or benefit plans, can they turn to the agent and leave with their questions answered and issues resolved? If so, that’s great. If the broker is referring them to 1-800 numbers or delaying answers, be wary. Any well-qualified intermediary in this position should be well-versed enough to handle employee requests on their own. Another question to ask is how often your broker contacts you. Do they appear suddenly right before enrollment and then disappear for the rest of the year? Needs change from day to day, and the right team member will know this. He or she should be constantly working to adapt plans for employees. They should also come to you any time there is a requirement change or a good amount of time before enrollment. The visits may be more or less frequent depending on your personal needs, but your agent should be proactive enough for your business. With more restrictions and requirements than ever before, a good benefits broker can make a huge difference for your company. If you’re looking for help, reach out to Cypress Benefits Group.